I must admit, I have a total love/hate relationship with Top 3s posts (which is ironic, since I'm the one who came up with the idea in the first place!). I always have fun coming up with ideas for them and I love reading the Top 3s of the other bloggers at Lands Uncharted, but every time I sit down to write one of these posts I find it SO HARD to narrow my choices down to just three! And today is no exception. I've seen so many bloggers talking about their top books from 2018, but I knew there was no way I'd manage to choose only three. So instead, I thought I'd stick to authors whose books I'd never read prior to last year. It turns out, there were ten of them! And I liked them all! *Sigh* But after much painful deliberation, I finally managed to produce my Top 3 New-to-Me Authors I read in 2018 (plus an honorable mention). Enjoy! 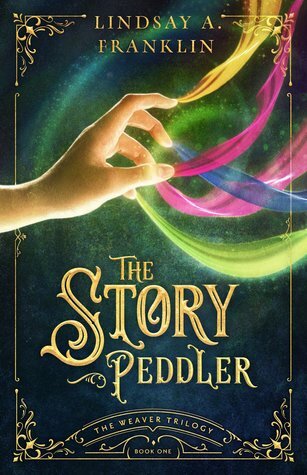 I was fortunate enough to have the opportunity to participate in the blog tour for The Story Peddler earlier this year, and I was totally blown away by Lindsay A. Franklin's debut novel! (You can find my review here.) Fabulous world-building, fascinating characters, and such a powerful message about the importance of stories and art. I believe the second book in the series will be coming out sometime this year (it has another gorgeous cover! ), and I'm looking forward to seeing what's coming next in Tanwen's adventures. 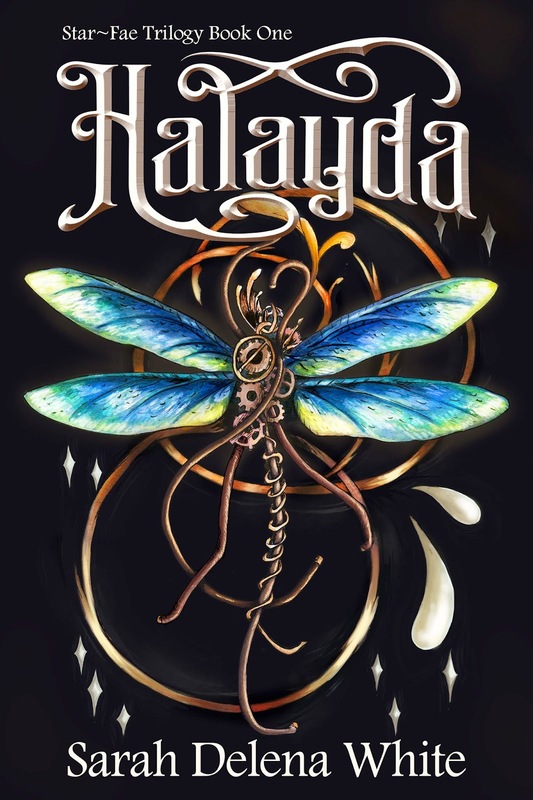 I'd heard good things about Halayda by Sarah Delena White ever since it released, but for some reason it took me a while to finally get around to reading it. I was so glad when I did! Her vivid, complex characters totally captured my heart, her depiction of Faerie was such fun to explore, and her writing style was lovely. Plus, it had that perfect blend of fantasy and romance that I just adore! The sequel, Rothana, released late last year and is coming up soon in my to-read pile, I can't wait! As I mentioned in an earlier post, Morgan L. Busse is one of those authors I've been hearing about for years, but despite my best intentions I still hadn't read any of her previous books each time she published a new release. In 2018 I made a conscious effort to change that by signing up for her advance reader team for Mark of the Raven. And what an excellent decision that was! Her world and characters drew me in right from the start, as did her lyrical prose. By the end of the book I absolutely loved the direction the story was taking, and I'm so excited to read Flight of the Raven in a few months! And because I'm not quite decisive enough to select just three favorite new-to-me authors from 2018, I also have to give a shout-out to Pam Halter, whose debut YA fantasy novel Fairyeater was absolutely wonderful. Deep characters, an inspiring message, and such cool world-building! Have you read any of these books? Did you find any new favorite authors in 2018? Let us know in the comments! Nice list! I've heard good things about all of those. 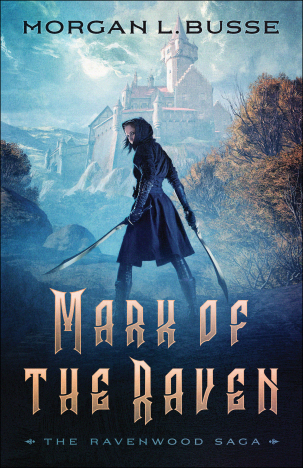 Mark of the Raven is on my Kindle. I'm looking forward to reading it. I enjoyed Busse's steampunk novel Tainted. Thanks, Lizzie! I'm hoping to read Tainted soon, I remember enjoying your review of it! Wasn't The Story Peddler great? Tainted and Awakened are definitely on my to-read list, I've heard great things about them! Thanks for stopping by, David!